On my way to this year’s motorcycle show Intermot in Cologne, I stopped in a small, pretty German town for lunch. In the car park were three spaces reserved for topping-up electric vehicles, with a sign saying: ‘Free parking while charging’. 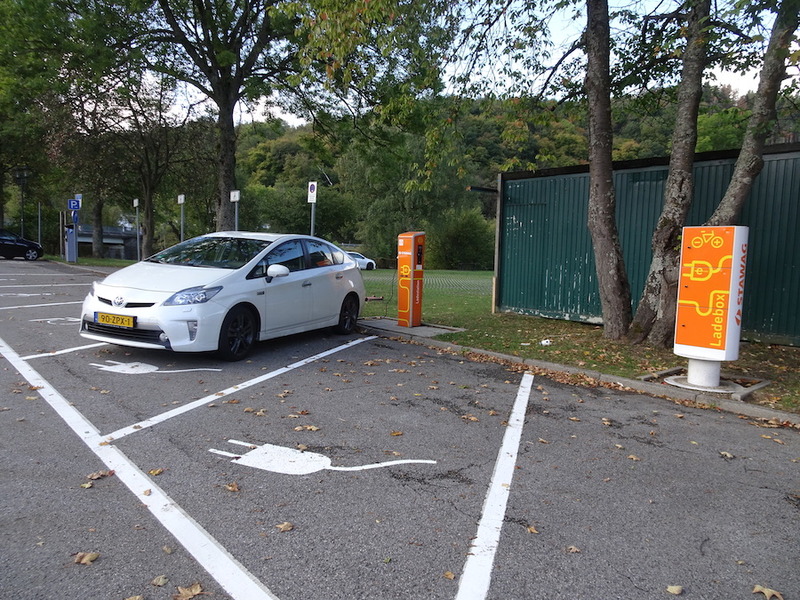 This is an increasingly common sight in Europe, along with new symbols for charging stations on motorway signs. Even road maps are marked with these now. Meanwhile, back at my lunch table, I could see where the power was coming from. The tips of the blades of wind turbines were sweeping the air above the nearby hill. You see these things everywhere in Europe, especially in Germany. The solid teutonic burghers seem not to have the problems with headaches, loss of libido and the decapitation of pet parrots that Australians living near these things allegedly experience. Come on, Aussie, man up. 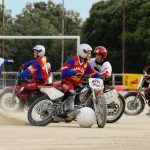 Once at the show it became clear that the two- and three-wheeler industry has picked up on the growing popularity of electric propulsion. 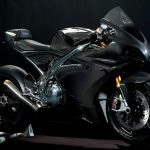 I know that ethanol, hydrogen and fuel cells are all being touted as replacements for petrol (and especially diesel) but there was no sign of any bikes or scooters powered by these alternatives. 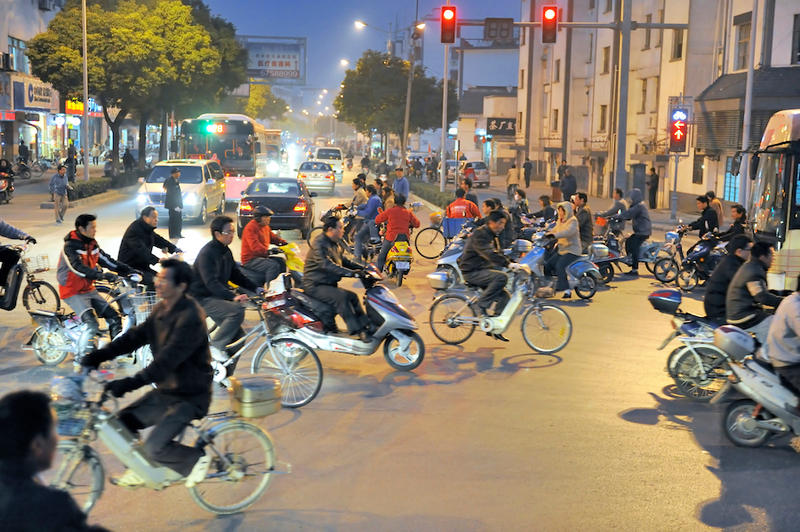 There was, however, plenty of evidence of electric bikes and especially scooters. Examples ranged from Harley-Davidson’s LiveWire all the way down to powered, self-balancing roller skates (imagine a tiny, stalk-less Segway for each foot) with all price and size stops in between. 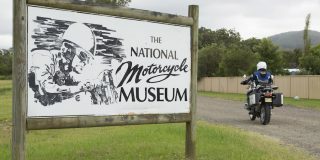 Some time on the early ‘80s, the president of the WA BMW Bike Club rode a Vespa from Leonora in WA to The Rock, along one or the other Gunbarrel highways. 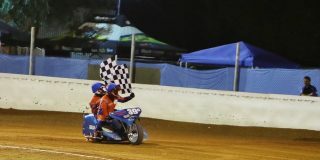 He had a backup 4WD, I seem to remember, and he did it to show that it’s not the bike, it’s the rider. Today, you could do the same thing on an electric scooter as long as you had a backup vehicle too, to charge your swap-out batteries for you. Sue me if you like, but I cannot give you details of all the electric vehicles at Intermot. There were far too many of them. As usual, Chinese manufacturers had decided that the best form of attack was, well, attack and offered literally dozens of bicycle-like electrics which differed mainly in the weird brand names they’d been given. Forgive me if I ignore most, if not all, of these. 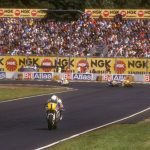 They were as boring as the endless number of imitation 50cc Honda Scoopys that filled the stands at Milan last year. The Taiwanese are something else, led by Kymco with the Ionex concept. This company has really thought the idea of electric vehicles through – but more of that in the sidebar. Probably the most obvious change from previous years is the styling of the offerings. Among quite a few interesting and unusual designs, the German-designed and -made SOL stood out. Not too long ago, the Sachs MadAss was the simplest and most basic-looking bike on the market. 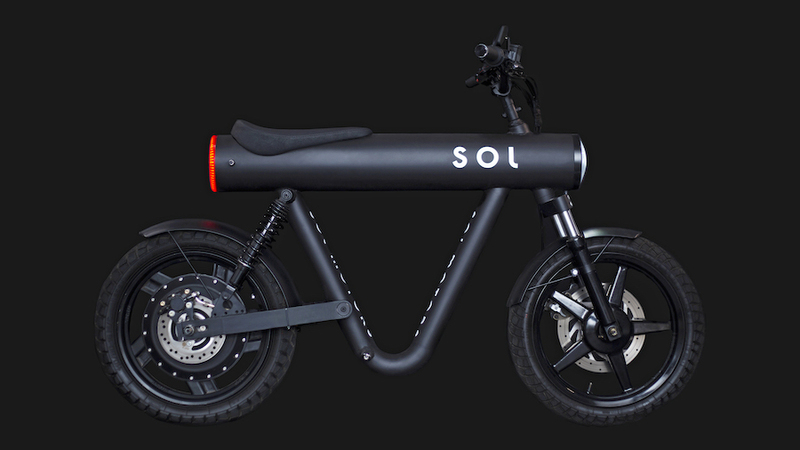 The SOL beats it hands down – it’s essentially made of two tubes, one straight and the other bent, welded together. It’s a marvel of engineering and design simplicity. The effect is seriously cool. 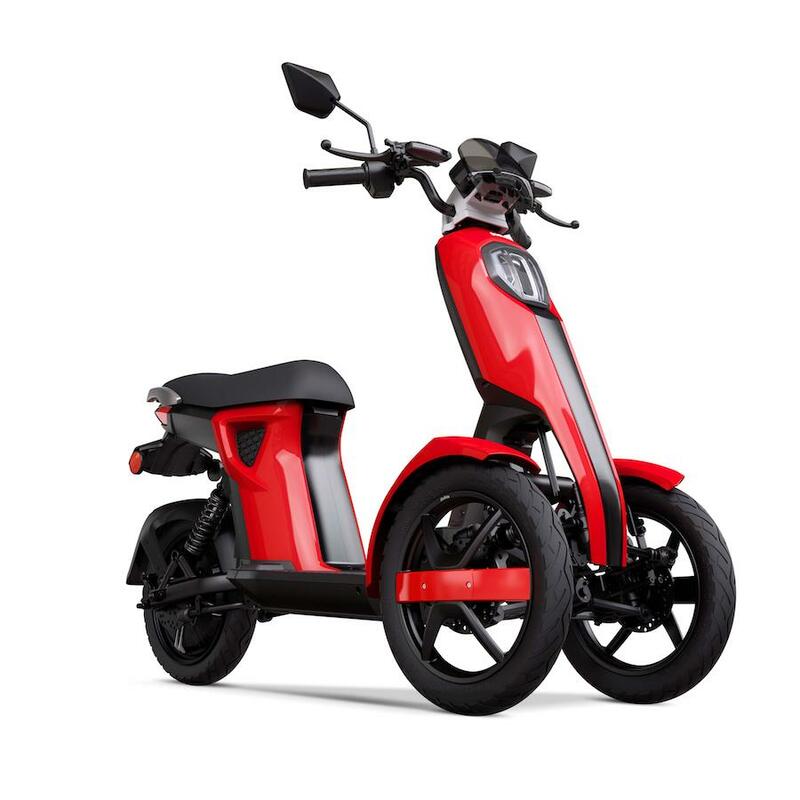 Available in two different versions, one with a 4.5kW hub motor capable of 50km/h and the other with a 6.3kW motor that will reach 80km/h, it weighs just 55kg and can cover between 50-80km before needing a recharge. That means it will easily cover most people’s commuting distance. And if you’re after some irresponsible fun on the way to work, it even has a wheelie mode. Not anti-wheelie mode, wheelie mode. 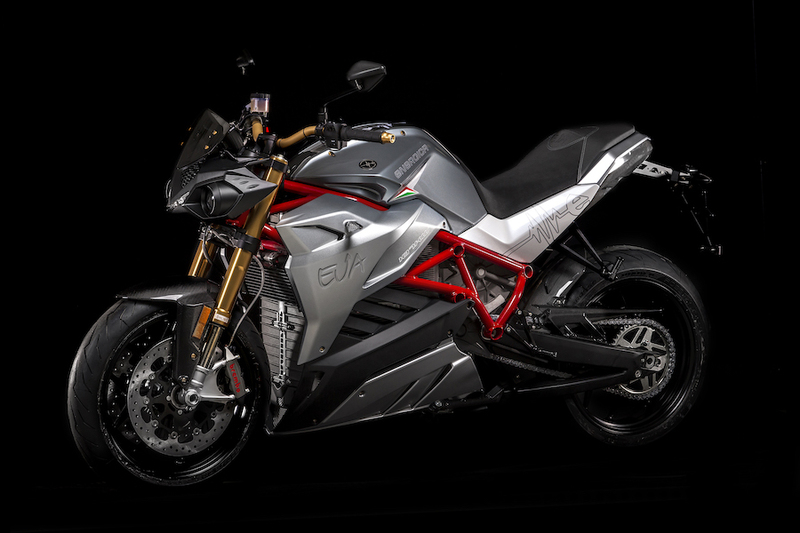 Which brings us to the solitary problem: even the low-powered version offers 4500 watts, which is going to get you legal problems if you don’t register it as a motorcycle. Actually, there is another problem, and that’s the cost which is $8000 to $12,000. Bummer. I would have liked one of these to play Mr Cool down at the local café. From a pretty but possibly impractical e-bike to a practical but, er, ugly pair. 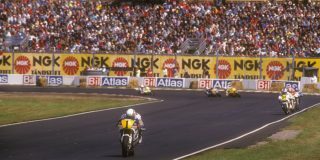 The brand is Doohan, and we do hope that Mick was not involved with these three-wheelers. 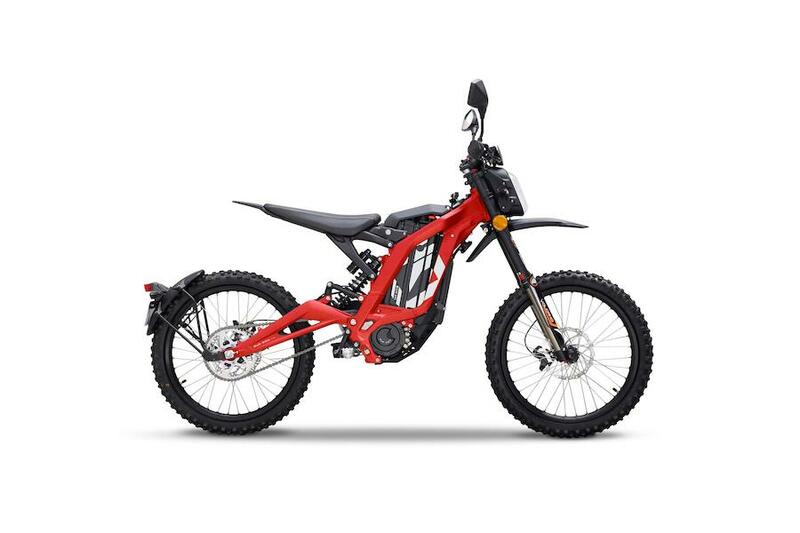 The models are the somewhat slim iTango and chunky iTank, and because the front wheels are less than 60cm apart, they count as two-wheelers in Europe. Handy for parking and licensing. Apart from the looks, these things are quite impressive with energy recovery during braking as well as LED lighting. The motors are from Bosch and the batteries from LG and Panasonic. Let’s move from commuting to fun for a moment with the Sur-Ron Firefly. This looks like a ripper little item, a way for young riders to get onto to (electric) wheels without having to ride a scooter. I was surprised that even in Europe, where there are bazillions of them, scooters have a little bit of a cardigan image among the sportier youngsters. The Firefly is anything but a cardigan machine with its off-road capability and snappy looks. The aluminium alloy frame keeps its weight right down; without the Panasonic lithium-ion battery it weighs all of 47 kilograms. 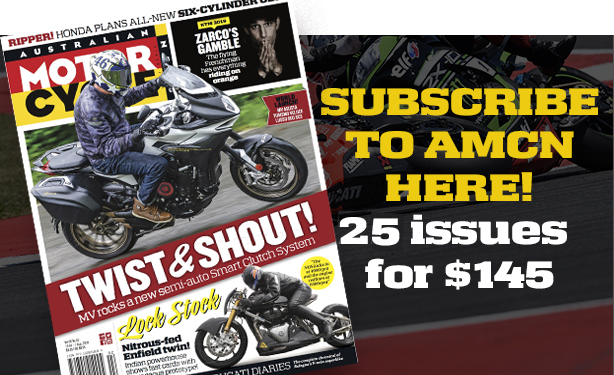 Range is quoted as nearly 70km, although I suspect that might come down with enthusiastic riding – which is what the Sur-Ron is likely to get from the 15 or 16 year-olds who can legally ride it in Europe. While we’re on the subject of fun, here’s something completely different. 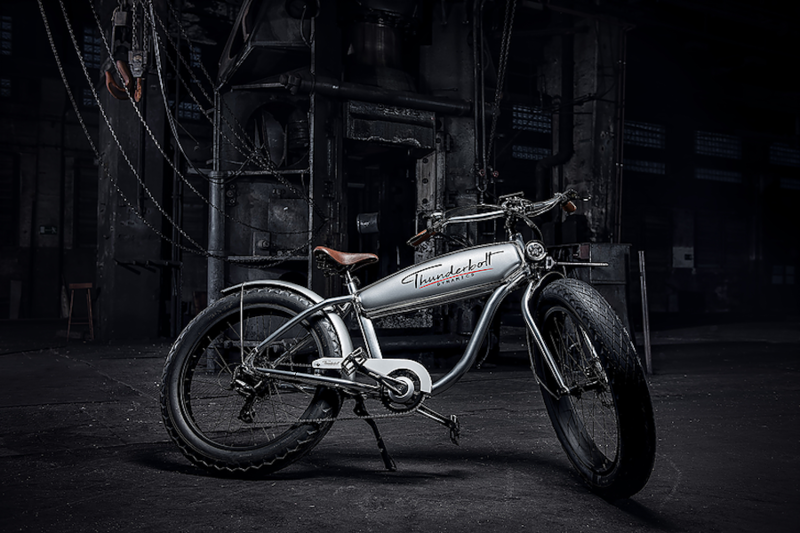 Thunderbolt makes electric bikes which look as if they came out of some steampunk novel. With fat tyres, a long ‘tank’ that holds the battery and a gear set straight from a competitive bicycle, the Thunderbolt offers a 250W motor set in its hand-polished aluminium frame. It is a ‘pedelec’, which means that it still depends on pedals to get it going, but it will happily cruise at 25km/h with motor assistance. And you can charge your phone while riding! Lambretta, which has been popping up at motorcycle shows for longer (and with a bit more product) than Norton also showed a range of 25kg E-Bikes, in hipster-ready matt black with whitewall tyres. Bosch motors, Shimano five-speed gearing and disc brakes. Cool, especially when compared to many of the cheaper electric bicycles (of which there were many). But enough of bicycle-lookalikes. How about proper motorcycles? 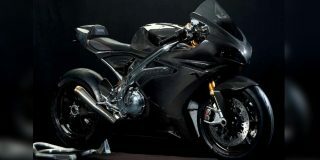 Like Italian manufacturer Energica, for instance. The Modena factory already has plenty of runs on the board. 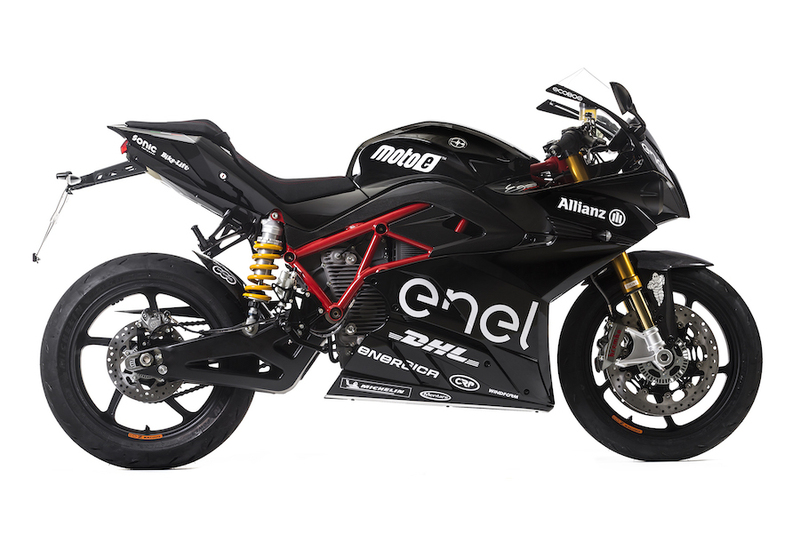 “Our selection as the sole manufacturer for the upcoming FIM Enel MotoE World Cup means the emergence of our products as the internationally accepted reference point for high performance electric motorcycles, as well as confirmation of the excellent work we have done so far,” said Energica CEO Livia Cevolini. 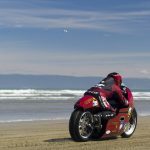 The company presented five production bikes as well as the 270km/h Ego Corsa, the prototype for the MotoE race bikes. 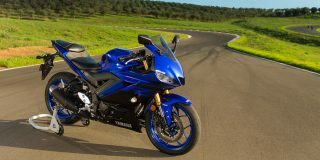 The bikes, which include the Ego Sport Black, all feature traction control, cruise control, ride-by-wire controls and heated handgrips, as well as Pulsing Hearts. Pulsing what? Relax; it’s just Energia’s name for a flash type of lighting. And that’s not all; they look good, too. To be fair to the scooter side of the electric business, there were some interesting models in this category at the show. Take NIU’s new model, the NGT (snappy name, too) as an example. 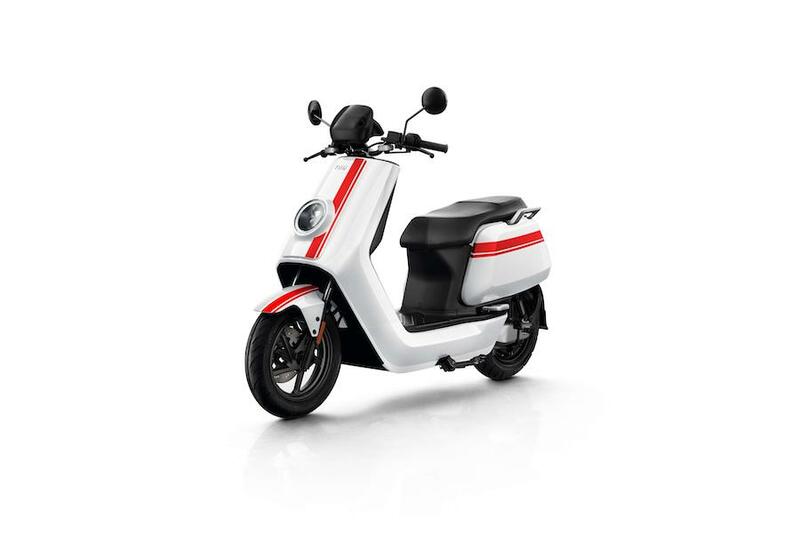 It has twin lithium-ion batteries which can be recharged in three and a half hours; the Bosch motor will take it to 70km/h. Keep in mind that NIU has sold 380,000 so-called ‘smart’ scooters since 2015. Possibly the most interesting scooter was the 1954 Ri Sport from German company Kumpan. The German-designed and -made Sport will hit 100km/h with a range of 120km (with three batteries) and is fully connected – even the battery will talk to your phone by way of an app and tell you where it is. It has classic looks as well, a definite plus for lovers of traditional scooters. This is where the Kumpan Sport keeps its batteries. 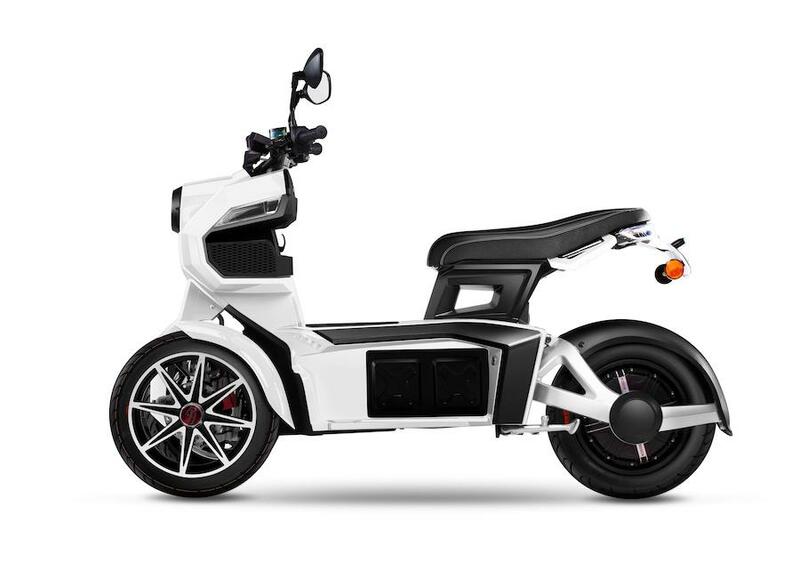 In a market crowded with opportunists, Taiwanese manufacturer KYMCO stands out as a player whose plans include serious provisions for the batteries powering its electric scooter range. It’s called ‘Ionex’ and looks like fixing just about all of the problems with these scooters. You know how you don’t re-fill your barbecue gas bottles any more, but just swap an empty for a full one? That’s part of the Ionex concept; but imagine if your barbecue had a gas reserve, so even if you emptied a cylinder you could still continue to cook? That’s part of Ionex too – and there’s more. It’s really simple – but it’s going to take a considerable amount of investment. 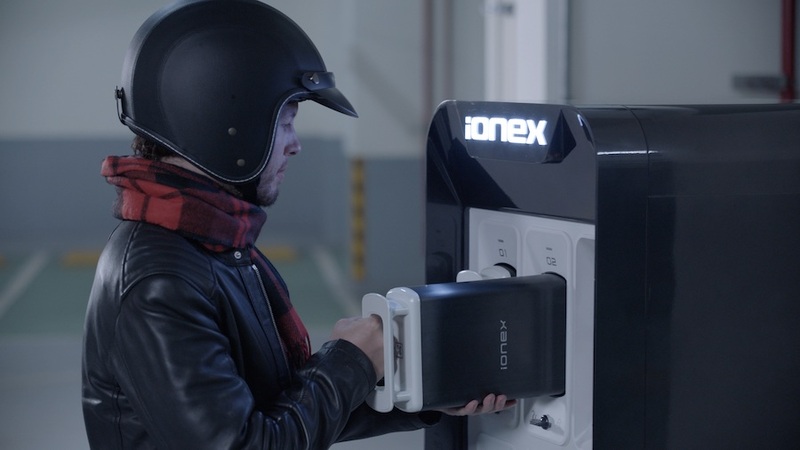 The idea involves building charging stations all over the place, where riders can exchange discharged batteries for freshly loaded ones. Removing and replacing the batteries is simple and easy (simpler and easier than swapping over a big gas cylinder) and they each weigh less than 5kg so there’s no problem with lugging them around. 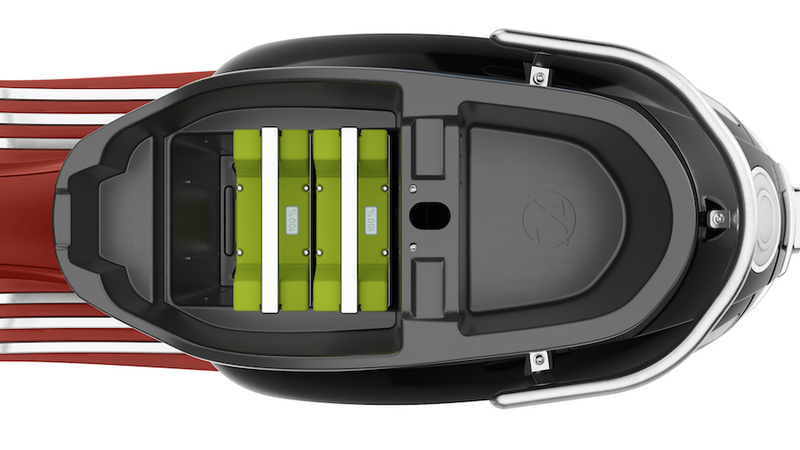 Best of all, KYMCO scooters also have what the company calls ‘core’ batteries fitted to them. These are not removable, and allow the scooter to be ridden without a removable battery; they charge themselves from those batteries. You can also recharge batteries at home or at work, and if you want to go further than usual you’ll be able to rent additional ones from the charging station. 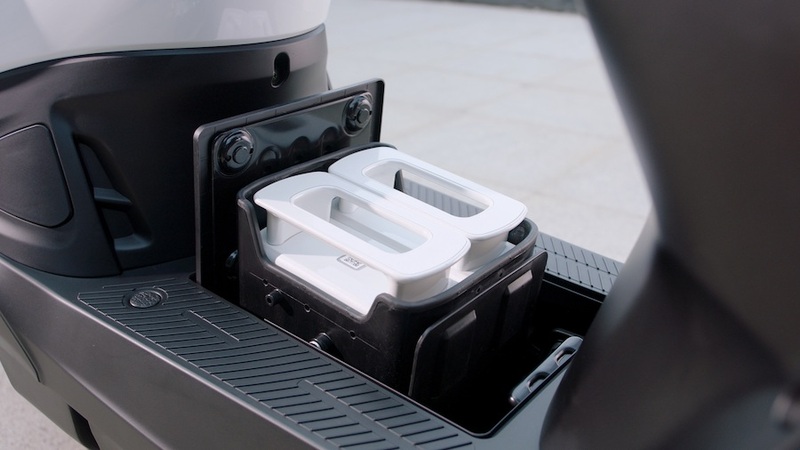 The space available under the seat is big enough to take three additional batteries, taking the total range to 200km. If this all sounds a bit futuristic, consider gas bottle exchanges again. They’re all over the place, and take up more room than a KYMCO recharging station would. There is another aspect to this idea too, one about which KYMCO is closed-mouthed for now. Just think – how many other applications would these batteries have? A young Aussie inventor has unveiled what could become Australia’s first electric motorcycle. 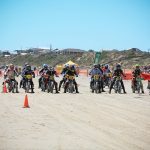 Dennis Savic, 26, told patrons at the Melbourne’s Moto Expo that his company, Savic Motorcycles, plans to have a range of motorcycles in production by 2020 and selling worldwide by 2022.